Unit　2　How often do you exercise? 八年级 英语 复习与练习 动词时态 1. My mother never watches TV. ( watch) 2. This was a traffic accident. Many people died (die). 3. A lot of vegetables help （help）you to keep in good health. 4. Do you have (have)a healthy lifestyle? 5. Grandpa is pretty healthy because he exercises (exercise)every morning. 6. My sister often goes (go) swimming with her friends on weekends. 7. The girl visits (visit) her grandmother once a week. 8. Susan often helps (help) her mother clean the room. 9．At school Tom never plays (play) sports. 10．Sometimes Ms. Hand has (have) lunch at school. 11．The Greens always read (read) newspapers in the morning. 12. Look！The flowers are dying (die)．Can you get some water? 频度副词 选择下列单词完成句子（有多余选项） always, every day, often, sometimes, never, hardly ever 1. He always gets up a six o’clock, seven days a week. 2. How often do you watch TV? 3. It hardly rains here. It’s usually sunny and warm. 4. Some of my friends are healthy because they exercise every day. 5. I can’t swim. So I never go to the beach to swim. 用所给词的适当形式填空 1. I’m busy, I hardly (hard) ever play with friends. 2. He can play basketball four times (time) a week. 3. Mr. Smith plays tennis once (one) a week. 4. He brushes his teeth twice (two) a day. 根据汉语完成句子 1. 我英语很好因为我每天都读它。 My English is well because I read it every day . 2. 约翰一周吃四至六次面条。 John eats noodles four to six times a week. 3. 迈克的表弟几乎从不做运动。 Mike's cousin hardly ever plays sports. 4. 他每三个月去看她一次。 He goes to see her every three months. 5. We have an exam once a month? (一月一次). 词的用法 ▲情态动词：can, must, should 1. We should? exercise (exercise) every day. It’s good to us. 2. The bird can sing (sing) the “ABC” song. It’s very clever. 3. You must try (try)to eat less junk food. 4. We should do some sports and? keep ?? (keep)in good health. ▲介词后面的动词加ing (by doing sth. 通过做某事) 1. It’s good to relax by watching (watch) game shows. 2. Mr. Zhang got the good job by (凭借) his hard work. 3. My friend learns English by listening (listen) to English programs. 4. How about play (play) football now? ▲be free有空 你明天有空吗？ Are you free tomorrow? ▲although/though,(but) 尽管天在下雨，他们仍然去上学。 Although/though it is raining, they go to school. ▲less 1. 我们应该少吃垃圾食品。 We should eat less junk food. 2. My uncle lived here for less ? (不到) 30 years. ▲ almost Tommy 几乎每天都吃肉。 Tommy almost eat meat every day. Mr. Smith got back home at almost (几乎)ten last night. ▲ keep+形容词 You must eat more vegetables and keep healthy (health). ▲ hardly The old man is so tired that he can hardly (hard) walk. ▲ once, twice 1. Last year Mary went to Beijing once —the first time in May and the second time in October. 2. We went to Hong Kong only once (一次)． 3. —How many times did you go climbing last year? —Only twice (two)． 4. I go to the movies once (first) a month. ▲together Jenny and Alice are good friends. They always go to school t ogether． Let's go to the zoo together (一起)，OK? ▲ however Little Betty is only three years old，however (然而)，she can sing lots of songs. ▲ ever Mr. Wang ever (曾经) described his trip to Hangzhou to me. ▲ such Frank's sister dislikes such (这样的) a job. ▲动词修饰名词，动词加ing A good eating (eat) habit is good for your health. 词形变化 ▲ write--writer health--healthy interest--interesting hard--hardly healthy--unhealthy different--difference 1. Most parents don’t think it is healthy (health) for children to stay up too late at 2. night. The story book is very interesting (interest), I want to read again. 3. Do you know the famous writer (write) Mo Yan? 4. Han Han and Guo Jingming are popular writers (write) in China. 5. Lu Xun is my brother's favorite writer (write) ． 6. There are many differences (different) between you and your twin brother. 7. Here are some differences between American English and British English. 8. He’s too young. He can hardly (hard) ride a bike. 9. He is kind of? unhealthy ? (health) because he often eats junk food. ▲名词单复数 1. We got sixteen points (point) in that game at last. 2. Lisa likes reading and there are many magazines (杂志) on her desk. 3. Would you buy some coffee (咖啡) for me when you go shopping? 4. I think the dentists (牙医) in this hospital are very nice. 5. I visit my grandparents six times (time) a year. 6. They are all my favorite TV programs (节目)． 7. I often watch them. (program) Do you often help your mother do some housework (家务活)? 8. Sixty percent (百分之……) of students in our class like playing soccer. 9. Doing sports is good for our minds and bodies (body)． 固定短语 ▲ help sb. with sth.帮助某人做某事 1. —在周末你经常做什么？ —我经常帮我妈妈做家务。 —What do you do on weekends ? —I often help my mother with housework. 2. Mr. Green's daughter often helps with housework (帮助做家务)． ▲ at least 1. —我可以帮助你。你需要多少钱？ —至少一万元吧。 — I can help you. How much do you need? — At least ten thousand yuan. 2. 我一周至少做两次家务。 I do the housework at least twice a week. ▲ a … way to do sth , the (best) way to do sth: 做某事的(最好)方式 1. 我认为锻炼是一个放松的好方式。 I think exercise is a good way to relax. 2. 学习英语的最好方法是说英语. The best way to learn English is speaking English. ▲ want to do sth:想做某事 want sb to do sth:让某人做某事 1. Do you want to come (come)to my party? 2. We don’t want to play (play) soccer today. 3. My mom wants me to drink (drink) milk every day. 4. My mother wants me to study (study) hard. ▲ in one’s free time在某人业余时间 He studies English in his free time. ▲ spend time with sb.和某人一起度过时光 我经常花时间和朋友在一起。 I often spend time with my friends. ▲ stay up late 1. The teacher told us to stay up late is unhealthy. 2. 为了准备考试他熬夜到很晚。 He stays/stayed up late to prepare to the exam. 3. It's bad for you to stay up late (熬夜到很晚)． ▲ ask sb about sth：问某人某事 1. 我想问Jane关于她的习惯的问题。 I want to ask Jane about her habit . 2. 我的父母经常问我的学习情况。 My parents often ask me about my study. ▲ go to the dentist 1. 我今天得去看牙医。 I have to go to the dentist today. 2. 他从不看牙医。 He never goes to the dentist． ▲ junk food 1. 不要吃太多的垃圾食品。 Don’t eat too much junk food . 2. 妈妈不让我吃垃圾食品。 Mum doesn't want me to eat junk food ． ▲ use the internet 1. 90%的学生总是使用互联网。 Ninety percent of the students use the internet . 2. 在空闲时间你会经常使用互联网吗？ Do you often use the internet in your free time? ▲ on line , on the internet 1. Do you often talk with your friends on line (在线的)? 2. My friend sometimes watches movies on the internet (因特网)． ▲ less than, more than 1. 我的钱不到1000元，因此不能买iPhone5了。 My money is less than 1000 yuan, so I can’t buy an iPhone 2. 我的爸爸昨天晚上熬夜到很晚，他睡觉少于5个小时。 My father stayed up late last night and he slept for less than five hours. 3. 他的姑姑在这所学校工作不到三年。 His aunt worked in this school for less than three years. 4. 格林先生已经住在北京超过三年了。 Mr. Green has lived in Beijing for more than three years. 5. More than half of (一半多的) the students pass the exam. ▲ for +一日三餐 我通常是把牛奶和鸡蛋作为早餐。 I usually have milk and eggs for breakfast. ▲ the answer to the question 1. 他不知道这些问题的答案。 He doesn’t know the answers to the questions. 2. 老师告诉了我这个问题的答案。 The teacher told me the answer to the question. ▲ teeth leaning She never goes to dentist for teeth leaning (clean). ▲ for fun 多数孩子用手机是为了娱乐。 Most children use mobile phones for fun． ▲ be different from My pen is red，and your pen is different from mine. ▲ what kind of 你喜欢哪种水果？ What kind of fruit do you like? ▲ swing dance 现在萨利正忙于学摇摆舞。 Sally is busy learning swing dance these days. ▲ go to bed early The old man always go to bed early (睡觉早)． ▲ be full of 这个杯子里装满了茶。(full) The cup is full of water . ▲ none of None (没有) of them stays out late to play computer games. ▲ like doing sth,like to do sth My brother and I like drinking (drink) coffee. ▲ go+动词ing In winter, my father often goes skating (skate) . 词语辨析 ▲ such as比如 （后跟名词或名词短语）for example 例如（后跟句子） 1. Jenny喜欢很多运动，例如游泳、网球、乒乓球等。 Jenny likes many sports, such as swimming, tennis, ping pong and so on. 2. 这家超市的很多东西，像蔬菜和肉，在打折出售。 Lots of things in this supermarket， such as vegetables and meat，are on sale. ▲ many, much We waited for you here for more (many) than two hours. ▲ how many, how much 你每天晚上睡多少个小时？ How many hours do you sleep every night ? ▲ by, through 1.Most people think the best way to relax is through exercise. 2. (湖南湘西) —How do you study for a test?—I study by listening to tapes. 3. — I left my keys in the room yesterday. I had to get in through the window. 句型句子 ▲ It’s+ adj.+（for sb）+ to do sth. 对某人来说，做某事是……的。 It’s important for us to learn (learn) English well. 通过看足球比赛来放松很不错。 It’s good to relax to watch soccer games. ▲ What’s your favorite…?你最喜爱的…是什么？ 他最喜欢的节目是什么？ What’s his favorite program? ▲ Here be 这是调查结果。 Here is the survey result. ▲ not…at all:一点儿也不（not构成否定句） 我弟弟不健康，因为他根本不锻炼。 My brother is unhealthy because he doesn't exercise at all . ▲动词短语做主语 Doing (do) morning exercises is very important for students. Eating (eat) healthy food is good for you. 单词拼写 根据句意及汉语提示完成句子 1．We lived in that village for almost (差不多) 10 years. 2．Exercise is good for our body and mind (大脑)． 3．It's too late.Let's go home together (一起)． 4．Mark，who is your favorite writer (作家)? 5．Would you buy some coffee (咖啡) for me when you go shopping? 6．I think the dentists (牙医) in this hospital are very nice. 7．Our school got 12 points (得分) in the soccer game. 8．Children's bodies (身体) grow very fast. 9．My friend sometimes watches movies on the internet (因特网)． 10．Do you often help your mother do some housework (家务活)? 11．There are lots of swings (秋千) in the park. 12．The bus is full (满的) of people. 13．We went to Hong Kong only once (一次)． 14．She goes to the movies once a mouth (一个月一次)． 15．It's bad for you to stay up late (熬夜到很晚)． 16．Mr. Green's daughter often helps with housework (帮助做家务)． 17．The old man always goes to bed early (睡觉早)． 18．Does your best friend enjoy do exercise (做运动)? 19．Let's go to the zoo together (一起)，OK? 20．The little girl can swing (摆动) with the music. 21．Little Betty is only three years old，however (然而)，she can sing lots of songs. 22．Mr. Wang ever (曾经) described his trip to Hangzhou to me. 23．Do you often talk with your friends on line (在线的)? 24．Frank's sister dislikes such (这样的) a job. 25．It is not easy to keep all these things in minds (头脑)． 单项选择 ( B ) 1. I’m very tired. I can _______ run. A. always B. hardly C. usually D. sometimes ( C ) 2. My brother likes fruit a lot and he eats it three_____ four times every week. A. and B. but C. or D. so ( A ) 3. (山东济南) —How often do the students play sports?—________. A. Twice a day B. Since last night C. For two hours D. A month ago ( B ) 4. He often comes to school early and he is ________late for school. A. usually B. never C. often D. always ( C ) 5. Although he is very old, _____ he works very hard. A. and B. but C./ D. so ( C ) 6. (北京) —_______ do you go to the cinema?—Once a month. A. How long B. How far C. How often D. How much ( C ) 7. (重庆) Helen was so excited at the news that she could ______ say a word. A. ever B. almost C. hardly D. always ( A ) 8. We should look after our ______ and keep _______. A. health; healthy B. healthy; healthy C. health; health D. healthy; health ( B ) 9. Here _______ in the classroom. A. ten students are B. are ten students C. ten students is D. is ten students ( C ) 10. He studies ______. He ______ plays with his friends after school. A. hard; hard B. hardly; hardly C. hard; hardly D. hardly; hard ( B )11.It's not good to drink too much coffee.________，I still want to drink some. A．So B．However C．Luckily D．Then ( C )26.—Alan，are you free this week?—No. This week is quite ________ for me. A．long B．happy C．full D．tidy ( C ) 13. Summer holiday is coming. Li Lei with his father _____ to go to Shanghai. A. want B. will want C. wants D. wanted ( C ) 14. I won’t spend any time _____ computer games. A. on play B. play C. in playing D. on playing ( B ) 15. —______ does Betty do on weekends? —She often reads at home. A. Where B. What C. How D. Why ( B ) 16. ---________did you sleep last night? ---Nine hours. A. How B. How long C. How many hours D. How often ( A ) 17. His parents don’t let him _______ too much time _______ computer games. A. spend; playing B. spends; play C. spend; to play D. spends; playing ( C ) 18. ______ my brother is young, he knows a lot. A. As B. When C. Although D. Because ( A ) 19. —_______ hours do they exercise every week?—About 40 hours, I think. A. How many B. How long C. How often D. How ( B ) 20. In our class, 85% of the students take the bus to school. So ______ students in our class get to school by bus. A. all B. most C. a few D. almost ( A )21.Only ten percent of the students ________ their mother with the housework after school. A．help B．helps C．helping D．to help ( B ) 22. _____ you put your watch in your inside pocket. A. May be B. Maybe C. May D. Can ( D ) 23. If you want to be thinner, you must eat_______ meat and take _______ exercise. A. more; more B. less; less C. more; less D. less; more ( C )24.The ________ of the soccer game surprised everyone. They lost the game. A．difference B．place C．result D．symbol ( C )25.There are three notebooks on the desk but ________ of them is mine. 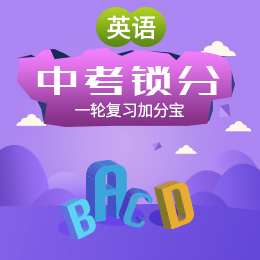 (易错题) A．few B．many C．none D．all 句型转换 1. I usually play soccer after school. (对划线部分提问) What do you usually do after school? 2. He uses the Internet every day. (改为一般疑问句) Does he use the Internet every day? 3. I play tennis with friends twice a week. (对划线部分提问) How often do you play tennis with friends? 4. My grandpa is over seventy years old. （改为同义句） My grandpa is more than seventy years old. 5. Today is full for us. ? (改为同义句) We are busy today. 6. My sister often plays computer games every night. (对划线部分提问) What does your sister do every night? 7. The children read books five times a week. (对划线部分提问) How often do the children read books? 8. Tom does his homework after school. (变为否定句) Tom doesn’t do his homework after school. 9. He is always late for class. （改为完全否定句） He is never late for class. 10. It’s fun to spend time with friends. ? (改为同义句) Spending time with friends is fun. 11. Many young people like using the Internet. (对划线部分提问) What do many young people like doing ? 12. He reads English two hours every day. (对划线部分提问) How many hours does he read English every day? 13. Tina has good eating habits. (变为一般疑问句) Does Tina have good eating habits? 14. Tom always watches TV in his free time. (变为否定句) Tom never watches TV in his free time. 15. Excise is the best way to relax. (改为同义句) The best way to relax is exercise . 习作范文 My classmate Marcia often does her homework for two hours a day.And she is very busy with her lessons，so she hardly watches TV.She uses the Internet twice a day to get some news.She likes English very much.She reads English books every day.She has a very good habit.She exercises three or four times a week.She goes to the movies once a month to relax herself.